March is Endometriosis Awareness Month. It is being marked in Malta today. Few people have heard of the disease, even though an estimated 176 million women worldwide – one in 10 – suffer from endometriosis. Jennifer Grech finds out more. Scars, surgery, years without diagnosis, countless cysts and fibroids removed. Endometriosis can have a devastating effect on the quality of life of sufferers due to its painful symptoms and the fact that the disease is the biggest cause of infertility in women. Why should there be more awareness about endometriosis? Few people have heard of the disease. Moreover, endometriosis carries with it a baggage of misconception. Isn’t it just a “bad period”? And wouldn’t paracetamol suffice to dull the pain? Endometriosis is a disease that many women wish they were told about sooner. Because it sometimes takes until the late 30s and early 40s to be diagnosed, many end up suffering the symptoms of the disease for years without resorting to early intervention. Prevalence is difficult to determine, firstly because of variability in clinical presentation and, secondly, because the only reliable diagnostic test is laparoscopy, when endometriotic deposits can be visualised and histologically confirmed. The disease can be difficult to diagnose clinically as its symptoms are common and non-specific. Thus, a long time often elapses between the first primary care consultation and diagnosis. Distinct episodes of gynaecological pain and combinations of gynaecological pain with menstrual symptoms on one occasion and gastrointestinal symptoms on another could be useful pointers to endometriosis. Surgery can be effective to remove endometriosis lesions and scar tissue but success rates depend on the particularities of the case. Pregnancy may also relieve symptoms but is not a cure. Hysterectomy may relieve symptoms but may not be a ‘definitive cure’ either. Removal of the ovaries at the same time a hysterectomy is performed increases the chances of pain relief but also results in an immediate menopause. Some studies have linked the presence of endometriosis with the development of ovarian cancer. However, the association is not definitive and the absolute risk for a woman with endometriosis is exceedingly low. Whereas endometriosis cells have been localised adjacent to ovarian cancer cells, the former have not been proven to be a precursor to cancer. Awareness can contribute to make sufferers realise what is happening within their body and proceed to seek the necessary help. And, as already mentioned, during the month of March activities are held across the world to make more people know about this debilitating condition. On the domestic front, the Endo Support Group, set up in 2006, plays a leading role. Its 170 members use its Facebook page, updated daily, to share information and tips on how to manage their health better. They will meet at a St Julian’s café today at about 4.30pm, wearing yellow, the colour universally associated with endometriosis awareness. An awareness walk is already being planned for March 2020. Endometriosis affects women and occurs when tissue, similar to the lining of the womb (uterus), grows in other areas of the body. This tissue grows mainly in the abdominal cavity. The tissue is linked to the woman’s hormonal cycle. However, unlike a period, the tissue remains within the body and bleeds, forming adhesions (scar tissue), lesions and blood-filled cysts. I have always had a difficult time with my period, having to leave class several times during the month to walk around the grounds to try and ease the pain. Periods are painful, that is what I had learnt. I had to deal with that feminine part of my life come what may. What I didn’t know was that while periods can be painful, they should not be excruciatingly so. Many years later, I was finally diagnosed with endometriosis at the age of 28 after visiting several health practitioners trying to figure out what the pain was all about, especially because it was not just related to the pelvic area. Raw, burning sensations in the hip area, all over the left, backache, nausea, extreme fatigue. After seeing several doctors, I was finally diagnosed by my consultant obstetrician and gynaecologist. A new world suddenly opened up to me. Finally being given a name to what I was feeling was already half the battle. Now I could do something about it... or could I? I took over the running of Endo Support Group – Malta about 15 years ago, alongside my friend and colleague Jenny Hill, who lives in Gozo. I decided to take up studies in psychology and psychotherapy to be able to help women to cope with their health and chronic illnesses in general. My psychology dissertation was entitled ‘The psychological effect of endometriosis on women in Malta’ and the results clearly showed the difficulties these women found in coping and functioning on a daily basis, the effect on their relationships with family and partners, career difficulties and, last but not least, the repercussions on their health, dealing with daily pain of this invisible disease. I think that everyone in the group wish for more awareness in Malta, for people to understand what they are going through and, above all, for women and girls to recognise the disease at an early stage to be better prepared for it and to be able to lessen the impact of the disease on their lives if it is diagnosed at an early stage. 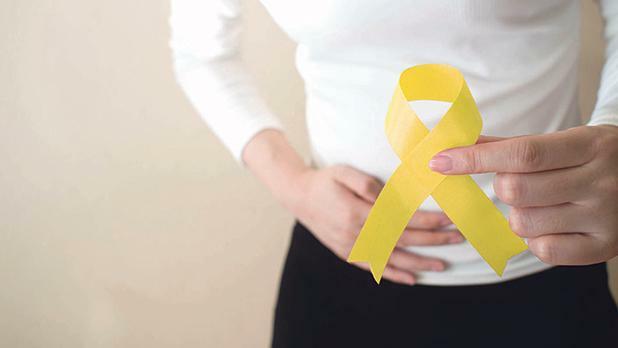 Our hope is for endometriosis to be recognised as a chronic illness and for appropriate screening, medication and sick leave to be granted according to the stage of the disease, for more medical research and specialists in the field to be available in Malta and for awareness and education about this condition to be implemented in schools for both young women and their parents. For more information, contact the Endo Support Group – Malta on endosupport@gmail.com or visit the group’s page. This is a private page due to the personal nature of the discussions that take place.